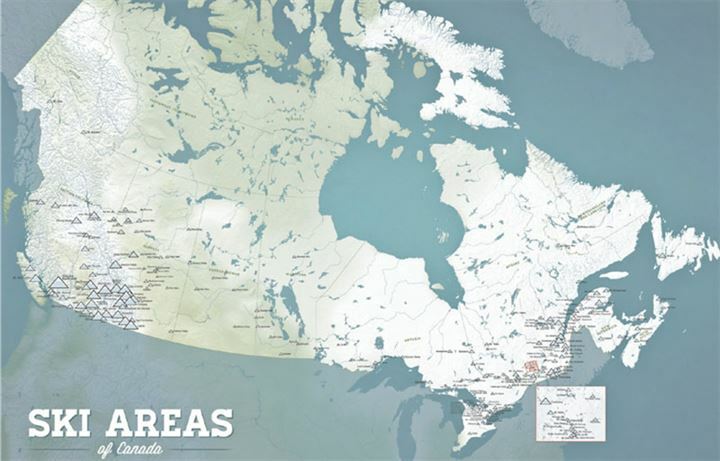 You don’t have to be a cartographer to glean information from a new poster map of Canadian ski areas. The skiable area and vertical drop were plugged into an algorithm to generate icons of appropriate size. Result: Southern B.C. is chock-a-block with huge peaks, southern Ontario hills are difficult to distinguish from one another, Quebec looks like a good place to road trip, and Mystery Mountain, smack dab in the middle of Northern Manitoba, has very little regional competition. Hang it where you have time to examine it. 60x90cm, US$34 includes shipping. bestmapsever.com.